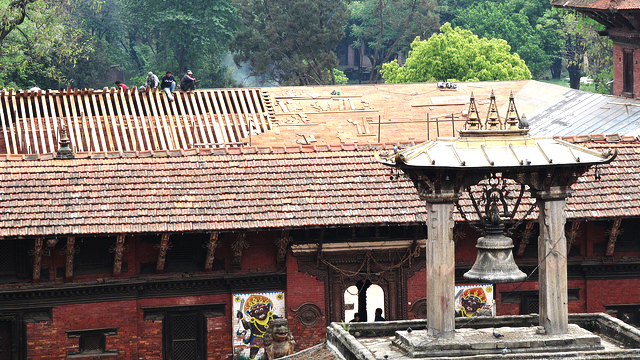 Patan Royal Palace, Lalitpur, Nepal: The restoration of the roof is in full swing in April 2011 at the Patan Royal Palace. 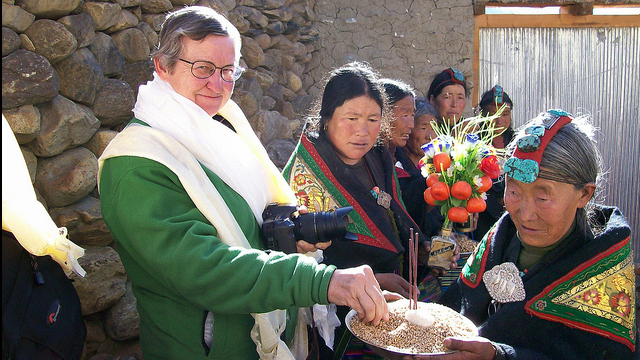 Former Ambassador Powell in Upper Mustang, Nepal: In 2009, Ambassador Nancy Powell visited the U.S.-supported project to preserve historic chortens in Upper Mustang. 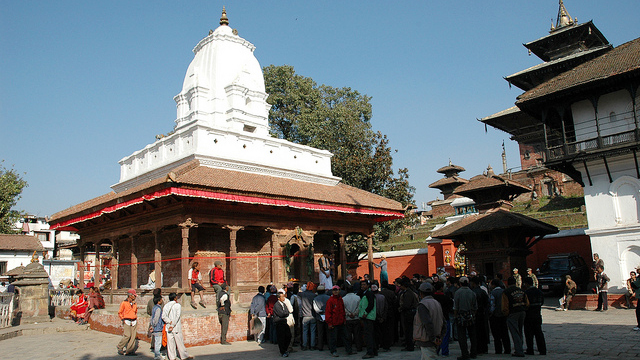 Kageswar Mahadev Temple, Kathmandu Durbar Square, Nepal: Now restored, the mid-18th-century Kageswar Mahadev temple is a popular meeting place in Kathmandu Durbar Square. 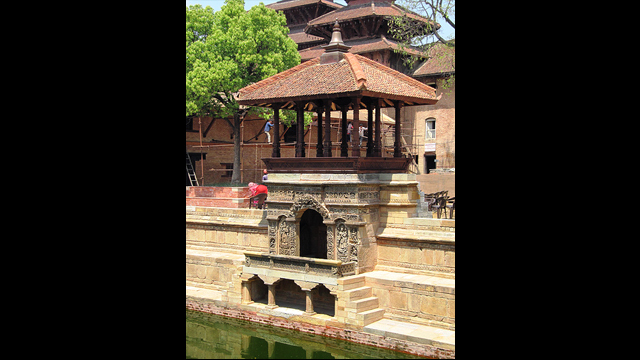 Nag Bahal Hiti, Lalitpur, Nepal: This historic step well in Lalitpur draws fresh drinking water from an ancient water supply system. 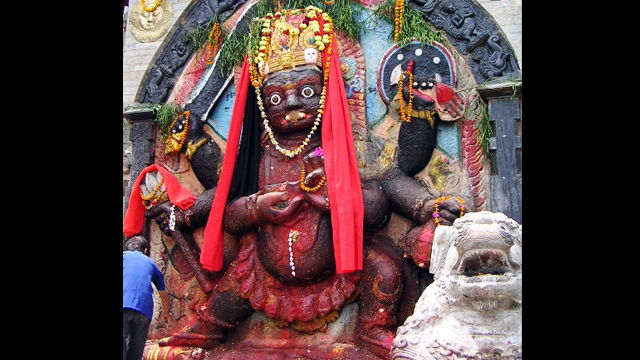 Mahadev Temple, Kathmandu Durbar Square, Nepal: This carved window frame in the temple's upper wall is an architectural tradition of the Kathmandu Valley. 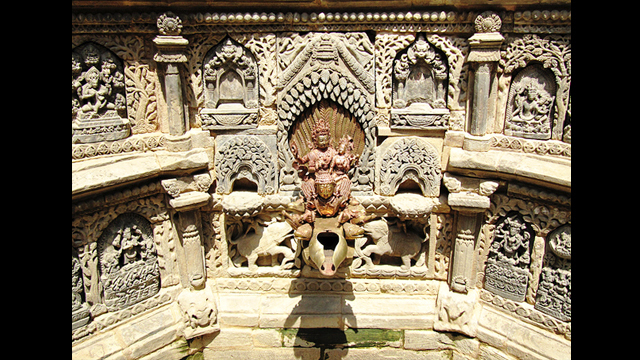 Tusa Hiti, Patan Royal Palace, Lalitpur, Nepal: Once the royal step well reserved for the king, the Tusa Hiti at Patan Royal Palace has been restored for everyone to enjoy. 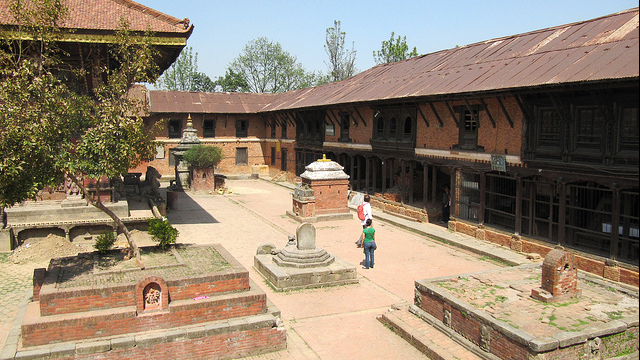 Chengu Narayan, Bhaktapur, Nepal: Once restored, this two-story wing of the Chaugara Sattal surrounding the courtyard at Changu Narayan will become a museum. 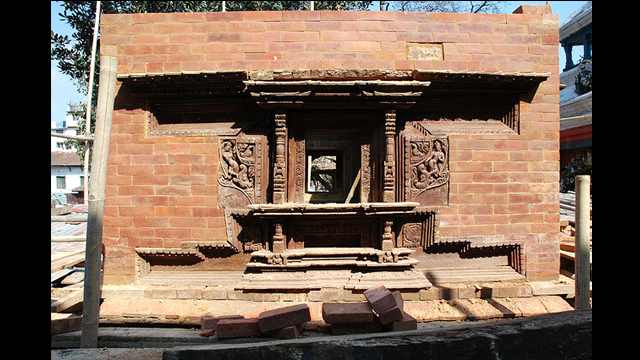 Patan Royal Palace, Lalitpur, Nepal: The Patan Royal Palace, shown here under restoration, is an important historic site and popular tourist destination. 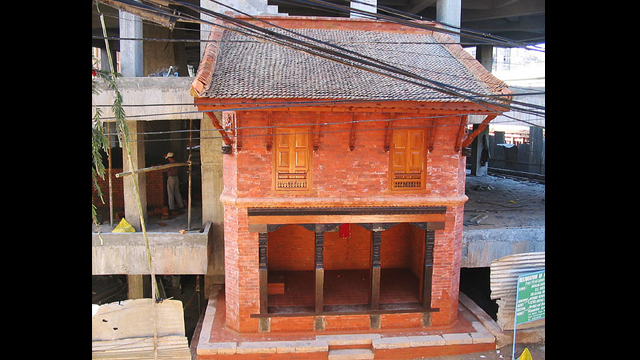 Machali Pati (rest house), Kathmandu, Nepal: The Machali Pati guest house was restored using traditional materials and building methods. 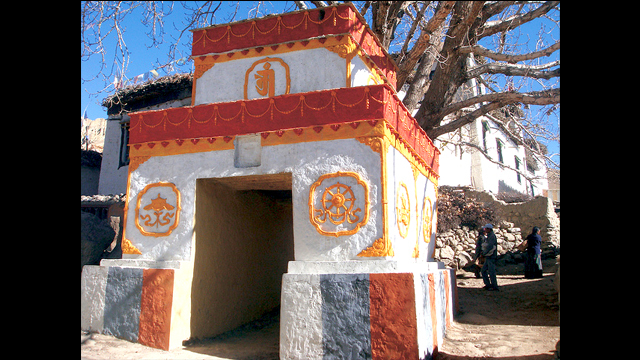 Gyeko Chorten, Upper Mustang, Nepal: The restoration of this historic chorten in Upper Mustang in 2009 saved it from collapse. 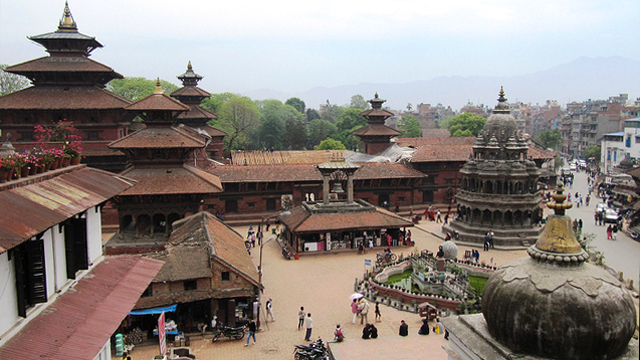 Since 2001, the U. S. Ambassadors Fund for Cultural Preservation has supported several projects to preserve Nepal’s rich cultural heritage. 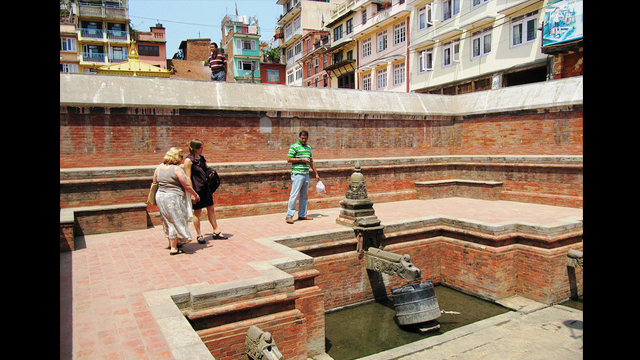 The projects have ranged in scope from the restoration of a 17th-century palace in the bustling Kathmandu Valley to the preservation of a remote Sherpa monastery at the base of Mount Everest.